If you answered "yes" to any of these questions, you might be a candidate for replacement windows. Triple H Home Efficiency Experts are the local experts for window replacement in Nassau & Suffolk Counties. Contact us to schedule a free quote for window replacement! We serve Brookhaven, Islip, Huntington and many surrounding areas. Triple H Home Efficiency Experts installs replacement windows with low-e glass, which help improve energy efficiency year round, as well as help block UV radiation and reduce condensation. 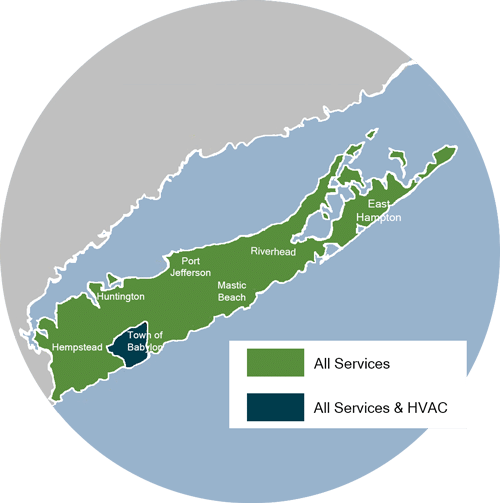 Triple H Home Efficiency Experts provides window replacement in Brookhaven, Islip, Huntington, as well as the surrounding areas of Smithtown, Huntington Station, Bay Shore, Brentwood, West Babylon, Ronkonkoma, Central Islip. Schedule a free estimate with us today!